My Vitamix will be 12 years old this December (2014). It is still going strong after all these years, despite being in use a minimum of 3 times per day. We use our Vitamix for smoothies, soups, sauces and many other things. For a few years now I have been juicing, with a juicer. I was getting tired of the tedious cleaning required with a juicer. So one day I decided to try out the Vitamix for juicing. Since I have made nut milks, I used the nut milk bag I already had on hand. I just processed the veggies the same way I would a smoothie and strained it in the nut milk bag afterwards. I did add a bit of water to the Vitamix prior to blending. I love juicing with the Vitamix. I find that it’s faster and much less wasteful than my regular juicer. The juicer I have is not a high quality one, I am sure the more expensive ones create less waste. My only dilemma with juicing was what to do with the leftover pulp. Powdered juicing pulp. 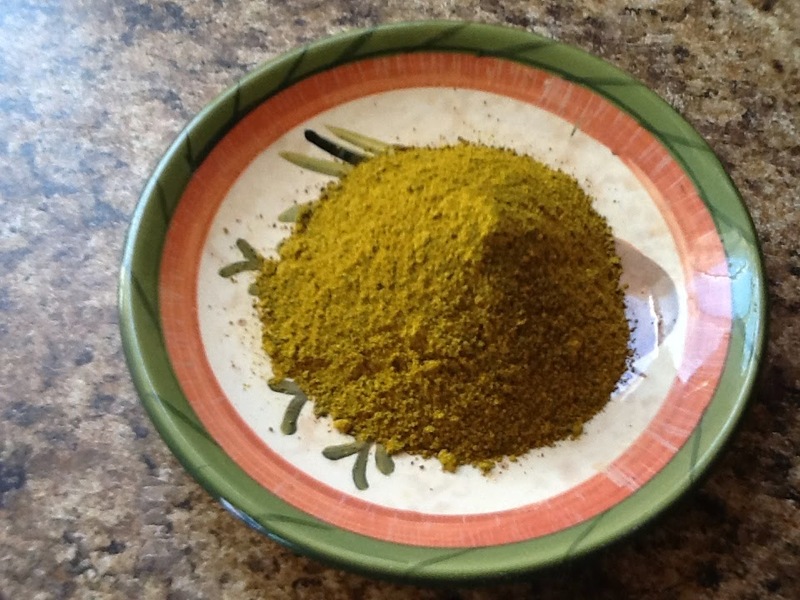 Yellow color is due to turmeric powder. There are recipes on how to use leftover juicing pulp. I have two preferred ways to use make good use of the leftovers. One way is to compost it or just toss it in the garden. This adds beneficial nutrients back into the soil. The other way I get a second use of the pulp is to dry it out and powder it. After juicing, I spread the pulp out on a cookie sheet lined with parchment paper. I turn the oven on to the lowest setting and when it is preheated, I turn the oven off. I leave the tray in the oven at least overnight and sometimes repeat the process until the pulp is completely dry. A food dehydrator would work just as well. 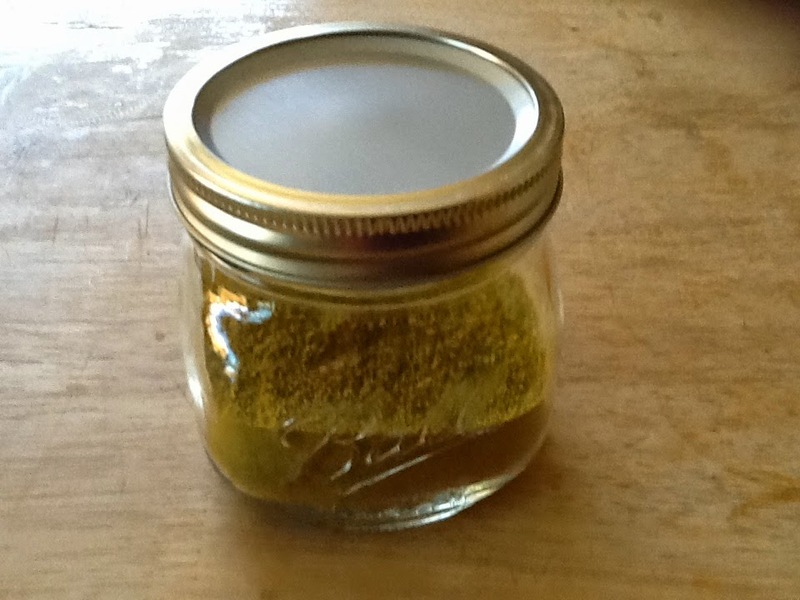 When it is dry, I store it in glass canning jars with only a paper towel covering the top. This makes sure there is no moisture left in the pulp. After a few days or so, I process the dried pulp in the Vitamix again. This time I use the dry blade container. Once it is powdered, it is ready to be used. Store in an air tight container. The uses for this powder are endless. I use it to add flavor to foods and it’s great to use in place of a vegetable broth. My kids love it on popcorn.